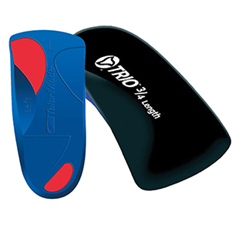 This incredible “kinesio tape” feels great giving support without over restricting with very low irritation to the skin. 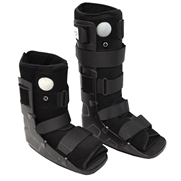 It is able to effectively stay in place for over 5 days despite getting wet and comes off easily. 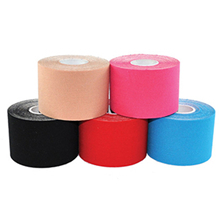 We stock “precut” applications for upper back postural control and lumbar support as well as rolls of Kinesio tape to use accordingly. We love our spiky pods as they beautifully stretch the area that every single person is tight in some way from sitting and technology – the upper back! Just sit it in place and reach overhead and breath. Some precautions need to be exercised depending on your spine so we would love to see you or speak to you before you try this one. These are so versatile with the best application being the stretch they can provide to the thoracic spine and the massage they can provide to the gluts and legs. These are an important part of our lumbar spine rehabilitation. Josephine Key who developed the “key approach”, author of numerous books on the lumbar spine uses this bolster in her extremely successful approach to spinal pain and dysfunction. 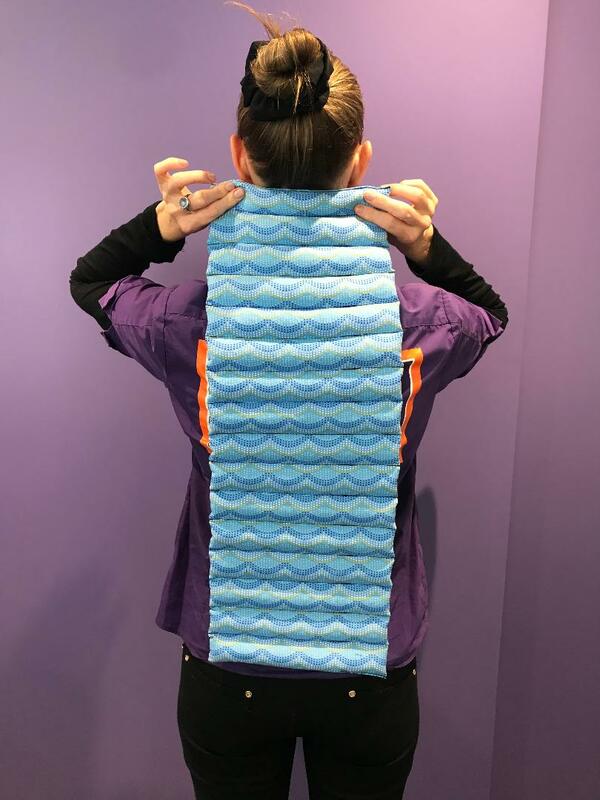 These hot packs run the full length of the spine and everyone loves them. you You can either lie on them or lay them over the bolster and settle into the heat as you do your daily stretches on the bolster. 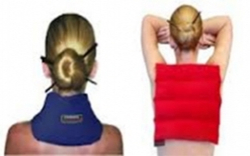 These hot packs are specifically for necks and heat it very effectively up to the base of the skull and down to the top of the shoulders. 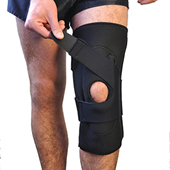 All our post knee and ankle surgical patients will invariably buy our ice bag with wrap due to its effectiveness and partly due to convenience. They are simply colder than chemical ice pack as the bag holds actual ice cubes. 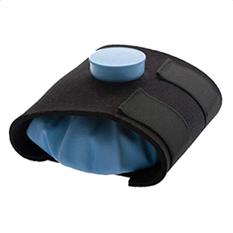 Additionally they provide even firm compression over the injured area with the wide neoprene strap, and the velour rubber bag can go directly on the skin without any risk of an ice burn. To change posture we need to provide the movement available to comfortably get into good posture, the endurance strength to remain there and education to reverse posture frequently by standing and moving. 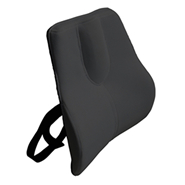 Lumbar cushions provide excellent support to help you maintain healthy posture. We have a range of back supports at various prices: a) Narrower square contoured back support b) deeper square contoured back support c) all care deluxe back cushions d) “obus forme” or “ComfyBack Portable” which are larger portable structured seat devices providing outstanding support for office, home or car. Back braces can be controversial amongst Physiotherapists. We do not condone the long-term use of back braces which in time would inhibit the correct muscles from working. However, in acute/severe low back pain there is no question they provide very grateful patients with dramatic relief and support during this stressful time. These braces often provide much needed support in the last trimester of pregnancy and following the birth of your baby. 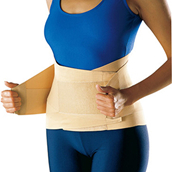 We have a range of sacroiliac belts for sacroiliac and pubic symphysis pain as well as back braces specifically designed for pregnant women. These braces can often mean women do not have to go on bedrest and impact their world tremendously at this time. We also provide active treatment for the mums or mums to be in these cases providing relief and improved functional capacity. These braces are kept in stock in a range of sizes and prices and purposes and are prescribed according to a detailed assessment and as part of a treatment. We do sell braces without treating patients however we always like to have a discussion with the patient to ensure the brace is the exact brace that is most beneficial to their condition. Fractured 5th metatarsal on the outoutside portion of the foot. We all know the benefit of exercise balls and the myriad of exercises that can be formed on them from beginner to advance. 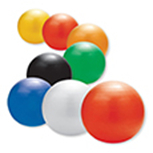 We have many of our own exercise balls for therapy sessions and have them available to buy if required for home exercises programs. Revolutionary elastic design supports classic static stretches, while encouraging effective dynamic movement. 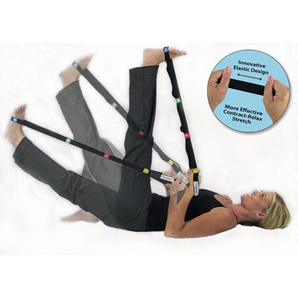 The Stretch Strap is an essential simple tool for versatile, effective stretching. 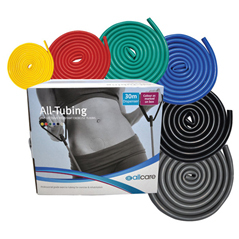 This band comes in tubes or band and will be for specific personalised exercises for your rehabilitation program. Only $95 plus consultation fee.